Every vehicle has many moving metal parts, which must be lubricated in order to ensure impeccable performance. And this is one of the most common problems that every car owner in Australia faces – the fluid leak. A tiny little spot under your car may be trying to tell you something. If you notice a recurring drip or a leak spot under the car on your parking area, it is recommended to find out what’s leaking from your car as soon as possible. Any car leaking fluid can lead to expensive car repairs and dangerous situations or accidents if the problem not sanitized in time. But simply looking under the hood or under the car doesn’t always provide answers. There are many different types of fluids which find use in your car. Fortunately, the car fluids differ in colour, texture and smell. With little knowledge and understanding about the car fluids, finding the source and the cause for the fluid leak will be much easier. Here are some of the most common fluid leaks and how to identify them. Oil is definitely the most common fluid that you will find under your car. Unused oil usually has a gold colour, but this depends on the brand. Some oil brands feature a dark amber colour like a light beer. The texture of the oil is quite slippery, and it is quiet difficult to remove it from your hands with water only. Soap or other cleaning solution is necessary. The motor oil gets very dark when it is in the engine for a quite long time, because it collects all the debris and unburned gases from the engine. Motor oil smells like cooking spray or burnt butter. It gets extremely hot which is why it gets that burnt smell with a little hint of fuel. The most common areas for oil leaks are the timing covers, the valve cover gaskets, the oil drain bolts and the oil filters. If you notice oil leaks under your car, place a cardboard under the car in order to identify the leaking area. It is always recommended to visit your local mechanic workshop to fix the oil leak on time. The automatic transmission generally uses red or pink fluid. If it is very old, the automatic transmission fluid turns into brown and dark gray colour. The texture of the transmission fluid is similar to the motor oil, and it smells like cooking oil. A sign that you might have transmission fluid leaks is when the transmission starts to slip and eventually the car stops moving. Again, you can place a cardboard under your car to identify the leaking areas. The most common areas for transmission fluid leaks are the axle seals and the output shaft seals. This depends whether the car is using front wheel drive system or a rear wheel drive system. If you notice a red or pink fluid under your car, remove the transmission dipstick and check the level of the transmission fluid, or go to your local mechanic to identify the cause for the transmission fluid leak. The brake fluid is clear and usually has a light yellow colour with dull mechanical smell. The brake fluid is described as highly corrosive to paint. If you ever pour a brake fluid on your car paint you need to quickly wash it with a window cleaner. This way, you will neutralize the corrosive elements in the brake fluid. When the brake fluid is not changed for a long period, it gets green because it collects the moisture from the brake fluid reservoir. The areas for brake fluid leaks are the master cylinders and the flex lines. If the master cylinders are leaking brake fluid, it will usually appear near the brake pedal. If the flex line leaks it will appear near the wheels. Brake fluid leak isn’t something you want to ignore. If you notice signs of brake fluid leak, act quickly! Visit your local mechanic and resolve this problem immediately. Some cars use transmission fluid as power steering fluid, but you can also buy special power steering fluid for your car. This fluid has light yellow colour and medium thickness. It has a unique smell which cannot be compared with other fluids. Most closely it has some kind of burnt smell. The most common areas for power steering fluid leaks if you have rack and pinon steering are the ends of the steering rack, and the rack end seals. If your car has steering gear box, the power steering fluid leaks would appear at the bottom of the seal of the steering gear box. If you notice power steering leaks, check the steering rack boots and see if they are wet. If they are, this may be a sign that you need to replace the entire steering rack. The differential fluid is very thick lubricant used in cars. It has strong and stinky smell, and if your hands get dirty with differential fluid, they will smell for days. The differential fluid has a colour of honey, but it tends to get gray because it absorbs metal dust when the gears are meshing. The most common areas for differential fluid leaks would be the pinon seal and the axle seals. If the axle seals are leaking, you will most likely see spots at the hub area close to the wheel area. If the pinon seal is leaking, you will see spots at the u-joint near the differential. 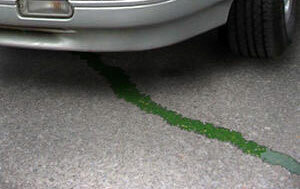 Coolant fluid leaks are most likely the second most common right after the motor oil leaks. This fluid can either be green or pink, but most commonly it comes in green colour. It has sweet smell and it is highly viscous. Usually, coolant leaks appear beneath the radiator or near the front end of the engine. Coolant leeks can be very dangerous because they can cause engine overheating. Ensure you sanitize the problem in time to prevent future costly repairs. When it comes to buying a car, most new owners are concerned with the type of transmission and which one is better: manual or automatic? Because both types have pros and cons, this is not a question to which we can give simple and direct answer. Many aspects need to be taken into consideration before deciding to either follow the public opinion on favourable automatic cars or choose a slightly more complex and reliable car with manual transmission system. We know that this may seem as an overrated advice from a car freak, but it is quite true. Or as some car owners like to say: ‘You are what you drive. Before we start describing the advantages and disadvantages of both types of transmission, we will provide an overview of the structure of a transmission system in the car and how it actually works. A transmission system controls the amount of power a car engine uses, thus increasing and decreasing the speed while driving. The transmission, also referred to as gearbox, has several gears (usually 4 to 6, depending on the car model). The gearbox has only one main function – it transfers power and torque from a rotating sub-part to the car’s wheels. 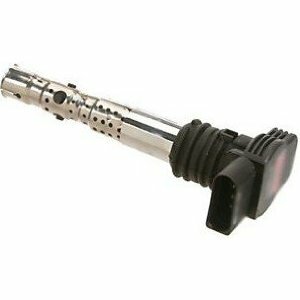 Each gear provides different level of power and as we all know gear one is the weakest and it is used only to start driving. Because we are talking about two types of transmission (automatic and manual) it is worth mentioning that there are detailed differences in their structures. Generally speaking, manual transmission cars are a cheaper option along with the transmission servicing costs. The difference in costs between manual and automatic gearbox was much higher a decade ago. And even with recent efforts to reduce these costs, manual transmission cars are still cheaper and easier to maintain. Automatic gearboxes are more complex in structure and therefore need to be serviced more often in order to preserve them and prevent the battery from running out. Moreover, there are still many car mechanics that refuse to work on automatic cars because they don’t have the proper experience and expertise. Any experienced driver or car admirer in general will tell you that manual transmission is better and in some situations, even easier to drive. What manual transmission provides for the driver is full control over the car in terms of how much power is used and optimal fuel economy. 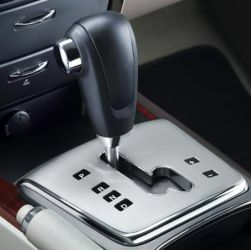 On the other hand, automatic gearboxes are way better for traffic jams where instead of shifting from 1st to 2nd gear all the time, all you need to do is press the gas pedal. Automatic transmission beats manual even on long roads because it allows easier cruise drive and greater driving freedom. 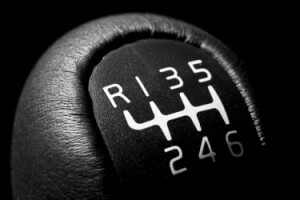 Researchers have gone even deeper in their evaluation of automatic and manual transmission, claiming that automatic driving can be less stressful than manual (try saying that to a person that has been driving a manual car for his entire life). Most drivers are aware of the fact that automatic cars have high power engines and thus consume more fuel in urban and open road areas. According to some experts, automatic transmission cars use 10% more fuel than manual-based cars. But, if we take a look at continuous advancements in the car manufacturing industry, it will be no surprise if this difference in fuel economy gets lower or even maybe evens out one day. Even today there are some car models with automatic transmission that have bellow average fuel economy, which consequently boosts their market price. In conclusion, a buyer’s dilemma between a manual and an automatic transmission is based on personal taste and lifestyle. We mentioned that people who like cars in general and collect cars can never be convinced that automatic cars are better than the manual-based ones. However, busy people who live in large cities will say that this is a total nonsense and that automatic cars are far more practical. Every car model that runs on gasoline today has similar construction scheme which includes various parts with different functions. In this scheme, the internal combustion engine is considered to be the heart of a vehicle because all other internal parts rely on its good condition. However, the combustion engine itself consists of parts that more or less contribute to its full operational state. One of those is the carburettor, a part without which a car will not be able to ignite and run. 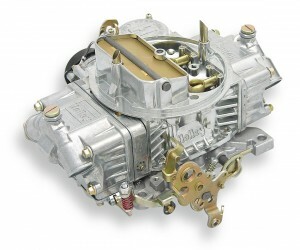 Since its initial design, the carburettor has endured certain modifications and is now available in three basic types: one barrel, two barrel and four barrel version. Which type of carburettor will a particular car model use depends on the performance characteristics of its engine as high performance engines need larger amounts of fuel sucked into them? A carburettor is part of the car’s engine which blends air and fuel creating a spark that starts the internal combustion engine. Roughly explained, its basic structure includes a vacuum and two or several ports where air and fuel enter, creating a mixture that continues to the intake valves. Following this further, the carburettor operates on Bernoulli’s principle – when faster air moves inside the vacuum, the static pressure decreases and the dynamic pressure raises allowing faster flow of liquid fuel inside the vacuum. So, the carburettor does not affect the flow of fuel directly, but uses the flow of air to determine how much fuel will mix in the vacuum, consequently setting the acceleration speed. 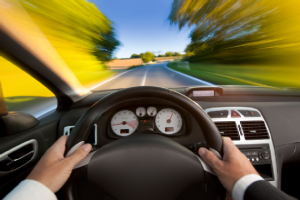 Sometimes, when the gas pedal is pressed and a car moves with idle or rapid acceleration, it’s a sign that there is a deficit of air flow needed to draw fuel. This is common problem associated with carburettor engines which is usually fixed by using other systems and parts of a vehicle, which shows that the carburettor relies on other parts of the car. A well-functioning carburettor should be able to exactly measure the air flow in the engine and deliver the right amount of fuel to keep an optimal air/fuel mixture that results in better fuel economy of a car. That is why, if a car starts using more fuel than usual, car mechanics advice to check the carburettor’s condition. Not that the carburettor is the only source of the unexpected higher fuel economy, but in most cases, it turns out to be the main culprit. However, few car owners have the knowledge and experience needed to detect carburettor malfunctioning or when it requires regular maintenance. In addition, we will describe some of the most common symptoms that indicate when something is wrong with the engine’s carburettor. Whether you’ve experienced it with your car or have seen it on the road, we are all familiar with a case where pure black smoke is coming out of the exhaust pipe. This defect can indicate number of things, but most often it refers to the malfunctioning of the carburettor and its inability to control the air/fuel ratio in the engine. Black smoke, along with poor engine performance, is a sure sign that you should check your carburettor for irregularities or indicate this on your next scheduled car service. As we mentioned earlier, a carburettor in good condition is vital for proper igniting and starting a car. When you turn the key to start the car, the carburettor creates an optimal air/fuel flow inside the car engine which uses a spark from the engine spark plugs to ignite the car. So, if you have problems with the carburettor, it may not create a good air/fuel flow, or create no flow at all, thus restrain your car from igniting. On the other hand, most cars today have a carburettor which uses a choke mechanism that enhances the mixture to help start the car in these situations. Hence, worst case scenario would be a broken carburettor and a non-functioning choke mechanism. Another example of a defected carburettor is when you press the gas pedal and the engine reacts seconds later with high acceleration speed. This is a very familiar case with recent car models. What really happens is that the carburettor at some point skips air and consequently fuel flows in, creating an unexpected idle speed situation even when you hit the gas pedal hard. And a second later you instantly feel the awaited acceleration. Therefore, in conclusion, the carburettor has two main roles in the performance of the engine, delivering gasoline and controlling speed. If any of these functions are not carried out perfectly, you should check the carburettor for possible faults. As we mentioned above, it can be difficult to trace this problem yourself, so if you notice any of the above indicators, please let your local car mechanic know about the symptoms you’ve noticed. I till help get a better diagnosis on the problem and save you some money if caught earlier. One of the most common car problems drivers experience on the road is that their vehicle is pulling to one side while driving or braking. In some cases this can easily be resolved by regulating the tire pressure. However, uneven tire pressure is not the only reason for this problem. Tire wear and tear, brakes malfunction and improper wheel alignment can all contribute to the problem of your car drifting to one side. This kind of defect needs to be addressed as soon as possible before it leads to a bigger problem and reduce your potential car service costs. Uneven pressure on the tires is the usual problem when it comes to the car pulling on the right or left side while driving. The tires are supporting the vehicle’s weight, engine and brakes and reduce the effects of road friction. 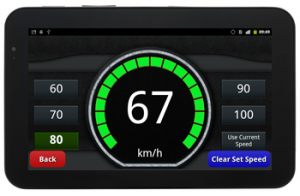 Therefore, proper maintenance will ensure better vehicle manoeuvring and greater fuel economy. If your car is pulling to one side, inspect your tires for pressure, wear and tear and possible tire mismatch. Tire Pressure – Tires need to be inflated according to the manufacturer’s specifications at all times. If, for example, the right front tire’s pressure is not at the proper inflation level, your car will drift towards that side. Also, improper tire inflation leads to extensive tire wear, increased friction and rolling resistance which results in higher fuel usage. Refer to your owner’s manual for the recommended air pressure levels and using any petrol station’s tire pressure gauge check all four tires and add or remove air to ensure equal tire inflation. 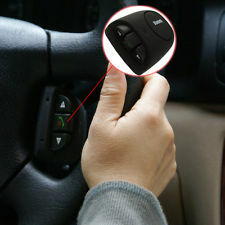 This will improve the vehicle handling, the fuel usage and can put your car driving in a straight line again. Tire Mismatch – This is alright only for a short period of time, if, for example, the vehicle’s regular tire is getting fixed, or you are using a spare one. Otherwise, make sure all tires are of the same size, tread pattern and aspect ratio. Mismatched tires increase rolling resistance which can cause for the vehicle to pull to one side. Wear and Tear – Inspect your tires for uneven wear, separating tear, cracks, cuts and blisters as these can all cause for a vehicle to pull to one side. Pay special attention to the depth of the tire tread which will show you the true condition of your tires. A tip-off that your tires need to be replaced is thread wear bars that are even with tire tread. Have them replaced but have your wheel alignment checked as well since uneven tire wear is the main indicator that wheels are most likely out of alignment. If your car seems to be pulling to one side; the steering wheel either vibrates or it might not be centred; and if your tires are fairly new but you have noticed wear on the outside then your wheels will need to be re-aligned. Wheel alignment refers to a specific angle in which wheels are parallel to each other and perpendicular with the ground. Properly aligned wheels do not only ensure a safe drive, but easy car manoeuvrability and economic gas usage as well. 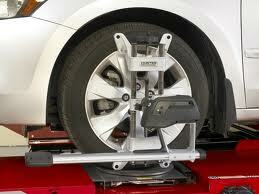 Therefore, take your car to an auto shop and have a licensed mechanic perform wheel alignment. 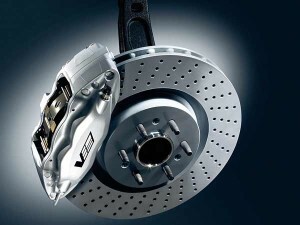 Brakes are, without a doubt, the most important safety feature of a vehicle and need to be maintained and checked regularly. If your car pulls to one side when you tap on your breaks, it is most likely due to a stuck calliper, master cylinder malfunction or a clogged brake hose. If you’re familiar with car repairs and want to find out what seems to be the problem yourself, lift up the front of your vehicle so both front wheels are off the ground. Then spin each wheel to see if the brakes are dragging. If they are, then the calliper is probably stuck and you should replace it. If, however, it’s not a case of dragging brakes, check to see if they are working properly. While you have your vehicle put up in the air, get a friend to step on the brakes really hard and keep it pressed down while you rotate the wheels. If one of the wheels spins freely, it means that the calliper isn’t squeezing the rotor properly. You should pull the wheel off and first check the brake hose to see if fluid is coming to it from the master cylinder. When you step on the brakes, if the fluid is coming out, then the problem might be clogged hose which means it’s time for a new brake hose. When it comes to brakes problems, we highly recommend you to visit your local car mechanic, to get the best diagnosis of the problem and get the work done by a professional mechanic workshop. A decision to buy a car has been made. However you are on a crossroad and not sure which path to choose – the one that’s been freshly paved with a new car scent or a less costly used car. Well it’s really simple – get your finances in order and decide on your budget. It will give you a sense of how far you can stretch. Also note that a new car loses its value for about 20% as soon as you drive it off a dealer’s lot. And besides, there are many used cars on the market kept in such good condition that they almost resemble new ones. Thus, a used car is probably the most optimal solution if your budget is lower. Additionally, regardless of whether you’re buying from a licensed dealer, a private individual or an car yard, make sure the car is on a level ground before you ‘interrogate’ it and always do this in daylight. 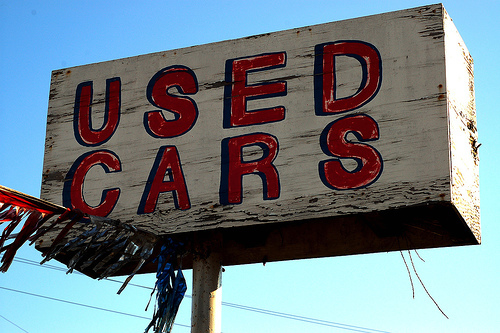 Read our guide below to get an idea on what you should look out for when buying a used car. Roadworthy – Every time you buy a used car in Australia, make sure that the car will be sold with a Roadworthy Certificate from a licensed vehicle service. Any excuses like “I’m going overseas, there’s not enough time to get Roadworthy” are a sign that there are significant problems with the car that the owner is hiding from you, so walk away. Never buy a Used car without Roadworthy Certificate, or your car’s mechanical repairs to transfer the ownership or to re-register the car may cost you even more than the car itself. Car hood – Inspect the car’s engine for possible fluid leaks; check all hoses for any defects; and check oil and other fluids level using the markings on a dipstick. In order to be certain that the engine has been inspected regularly and has been cared for according to manufacturer’s specifications, check the colour of the engine oil. If it’s brown, you’re good to go. Bodywork – Inspect the car’s body for any mismatched and unevenly applied paint since this is usually a sign of dent cover-ups. Also pay attention to detail – to be precise, make sure there isn’t a single rust blemish, especially on the bottom of the doors, wing panels, tailgates and around the headlights. This usually means that beneath it, a severe corrosion ‘nibbles’ the car’s body and know that this is a costly fix-up. Tires – Make sure you pay special attention to the tires. They are crucial for your car’s impeccable performance and safety. Inspect for any cracks, cuts, blisters and tread wear as these are the signs of worn-out tires which may have been caused by improper tire inflation and/or misalignment of the wheels. Brakes – Since brakes play an important role in your safety and safety of your passengers, even a minor defect may lead to a collision and significantly increases a risk of injury or death. The best way to test the brakes is during a test drive. If, when you apply force to it, the brake pedal does not provide good resistance or sinks to the floor, then the brakes may need to be replaced right away. Interior – And finally, inspect the interior of a car. Check the air-conditioning system, the car’s upholstery and make sure there are no tears, stubborn stains and other defects. Also, check the odometer. If numbers are not lined up and if the condition of the car’s upholstery does not match the total kilometres driven, then you might consider that perhaps some odometer alteration has happened. Of course, test driving a used car will give you the best idea of its performance and condition. However, do not overlook the car’s service history and thoroughly inspect the owner’s records to be sure that the car has been inspected regularly and to get info on all repairs done on it. If, however, you are not certain how to check if a car is in good condition and if it’s worth your money, have a licensed mechanic conduct a pre purchase vehicle inspection and point out any cost estimates on possible problems with the vehicle. We’ve all been there – when, after a hectic morning, with the speed of a light you get into your car; put the key into the ignition, turn it and… Nothing. An absolute silence (except for grinds and whines of your heart that’s about to pop out of your chest). Is it my engine? Most likely it is (not your engine per se, but certain parts under the hood that help it run). A ‘not starting engine’ problem is one of the most common ones that are bound to occur at some point in your driving career. A number of defects, ranging from dead battery to low oil level can contribute to this. What are the most usual problems when you car engine is not starting? 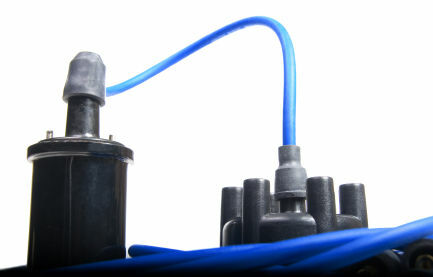 Discharged car battery is, in most cases, the major reason why your car engine is not starting. Depending on the model of your vehicle, your car’s battery is supported by high-tech management system that prevents battery discharge. However, if the ignition’s activation has been prolonged or if headlights or the radio have been on for a long period of time, the battery may encounter discharging problems and will need to be tested. The best way to test if the battery is causing the engine failure is to jump start your car. If the car starts immediately, then you probably have a problem of a dead battery and need to replace it. You should know that the average car battery life is about four years. 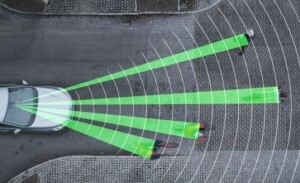 However, depending on your driving techniques; how often you drive your car; climate conditions of where you live and many other factors, your battery may have shorter lifespan. If you repeatedly experience starting problems due to low battery charge, then you probably have a defective car battery. The best thing to do in this case is to visit your car mechanic and have him charge or replace the battery. 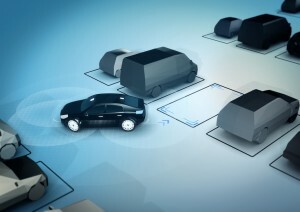 Your tech will take snapshots of the vehicle’s battery by hooking electronic testers to it. This will provide necessary information whether the battery needs to be replaced. If your car battery has been eliminated as a possible cause for your ‘not starting engine’ problem, then the problem may be a faulty ignition switch. 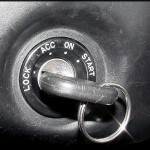 The ignition switch is what gets your vehicle started by providing necessary electrical connection between the battery and the starter. 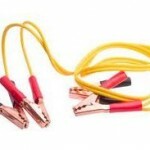 It is probably one of the most important electrical systems of your car and is responsible for supplying it with about 50% of the total power needed. To determine whether you need to replace the ignition switch do the following – turn the key on but not all the way to start. If the warning lights on the dashboard do not light up like New Year’s fireworks, then you probably have a faulty ignition switch and it may need to be replaced. So we have eliminated your battery and the ignition switch as possible cases, yet your car engine won’t start. If that’s the case, you might be out of fuel. Yes, it happens, but luckily it is a temporary and an easy fix. 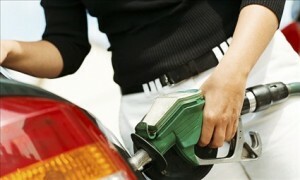 To check whether your car needs fuel, open the fuel tank and shake your car. If you can’t hear any liquid movement than you car is out of fuel. However, if you’re certain that you have enough fuel then you might have to deal with a bad fuel pump or your mechanic will need to perform a fuel injection service on your vehicle. Turn the ignition switch to the second position and if no sounds are heard from the fuel tank or if the fuel pump is making whining noise then your car is in desperate need of a new pump. 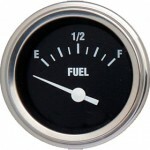 Visit your mechanics shop for fuel pump pressure test. A technician will insert a fuel pressure gauge into the Schrader valve to determine if your engine is receiving enough fuel from the tank. Remember, the fuel pump is crucial for flawless vehicle operation. It ‘feeds’ the engine with the required fuel enabling it to run. If you believe you might have a faulty fuel pump, replace it as soon as possible. If your fuel pump is operating smoothly, then you might have a dirty fuel filter. The fuel filter protects your car engine from harmful particles by catching and trapping any fuel remains that can be harmful to the engine. If you haven’t replaced the fuel filter in a while, then its best you do so in order to keep your engine running smoothly. This is an easy DIY that can be performed in no time. The engine oil is crucial for smooth engine operation as it provides effective lubrication and cooling for your engine and all its internal parts. If you have replaced the engine oil recently and believe you do not need to it, know that oil consumption varies from vehicle to vehicle and depends on the oil quality, the road, the weather conditions and the engine speed. 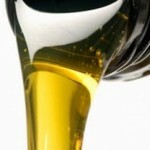 If you have trouble starting your car, low engine oil level might be the reason. The best way to know if the engine oil level is low, use the dipstick and markings on it that indicate your current oil level. In order to get true reading, you must assure the vehicle is on level ground. Pull out the engine oil dipstick, wipe it clean, reinsert it and pull it out again. Check the oil level according to the markings to see if you need to add engine oil (read your owner’s manual to find out what each marking indicates). If the oil level is low, add new one as soon as possible. Please note, when adding engine oil do so by adding small amounts of it at a time. Also, wait a while between each pouring to avoid adding to much engine oil. 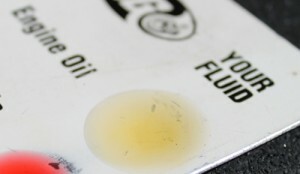 Make sure you check the oil level regularly, preferably every time you add fuel and before and after longer trips. Moreover, change the engine oil according to manufacturer’s instructions listed in your owner’s manual. Remember, regular car maintenance is a must for a smooth vehicle operation. Most of these checks take very little of your time and by regularly inspecting them you’ll be able to detect any defects on time thus save time and money. These are just some of the most common causes for your car engine not starting, however there can be more serious problems causing the car engine not to start, so if none of the above recommendations work, we encourage you to visit a professional car service centre so that the can make discover any serious problems & fix them as necessary.